If you have ever wanted wild birds in your garden but cannot seem to attract them, Creating Your Backyard Bird Garden is the book for you. This pamphlet provides helpful hints to create a perfectly balanced garden to feed and attract wild birds. Chapters in the work include gardening specifically for birds, placing the correct plant in the right spot, and how to maintain a garden. One chapter is dedicated specifically to gardening for hummingbirds, and another discusses finishing touches. A list of appropriate plants and a hardiness zone map are included as appendices, and the work is enhanced by detailed illustrations and photographs. Additional information sources are listed in the back of the book, creating a comprehensive guide for any bird gardener. 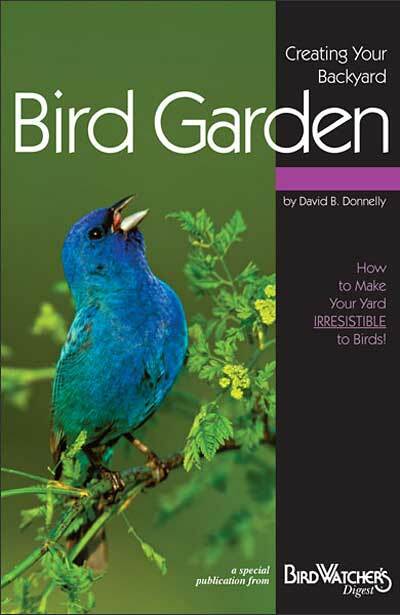 Creating a backyard bird garden has never been simpler than with this book.